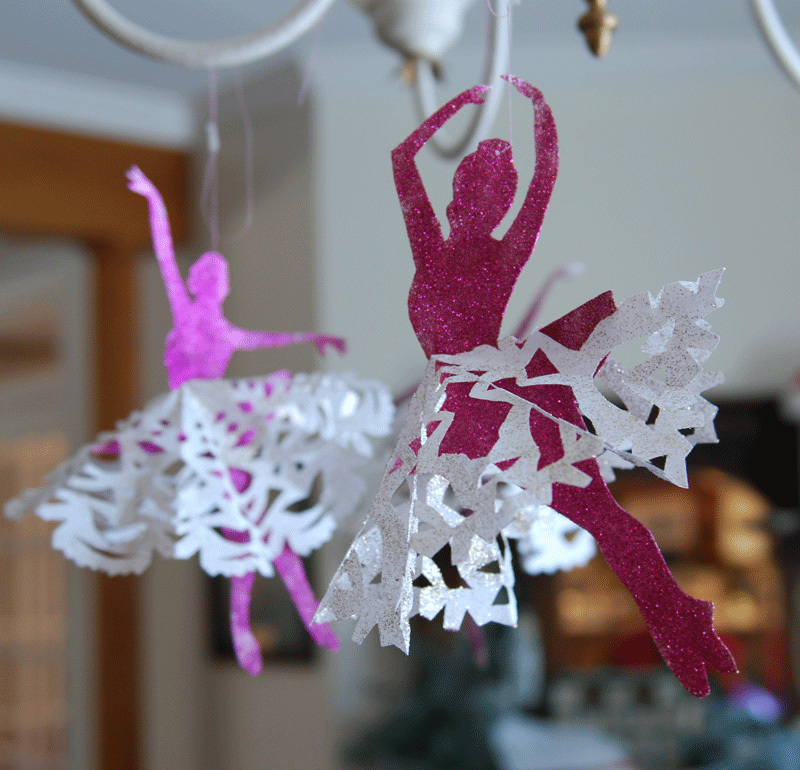 Dancing Ballerinas - Jill Ruth & Co.
We did a little paper project during the Christmas break. Our two youngest girls take dance lessons as did the older girls when they were younger. I found this idea and templates via pinterest on the site Krokotak. The above ballerinas are the harder version called Snow Flake Ballerinas for Crafty Moms , or in this case Crafty Big Sisters, ha! . One of my older girls made these while I helped the younger ones make the version for little hands. Love your dancing tiny dancers with their pretty snowflake skirts!